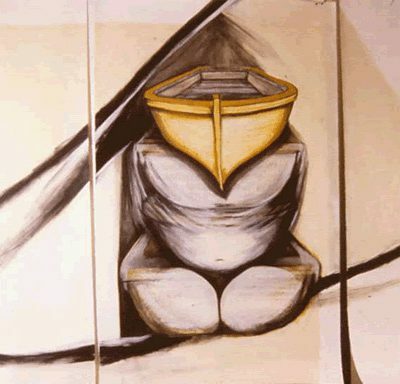 What follows are excerpts from various connected suites of drawings Hall created between 1989 and 1991. 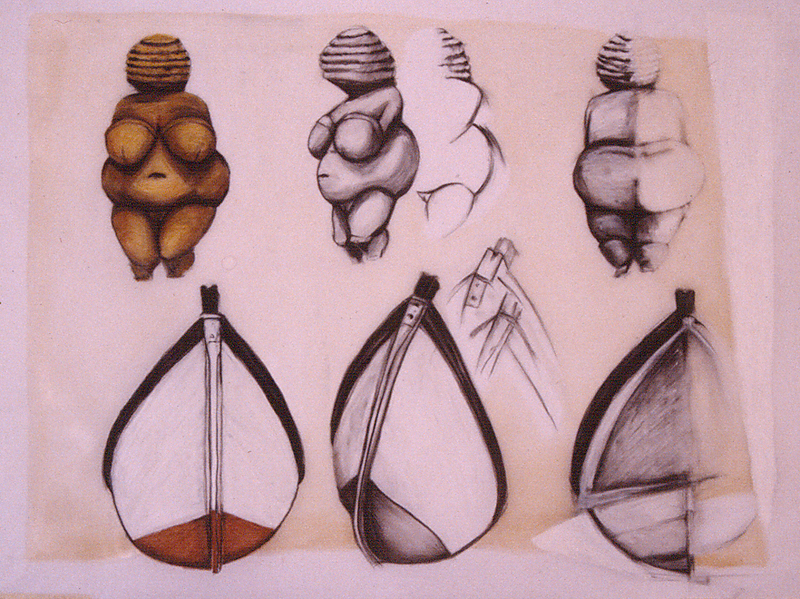 All of these works are mixed media on rag paper, using a range of materials including oil stick, gesso, graphite, linseed oil, chaulk pastels, charcoal and coloured pencil. 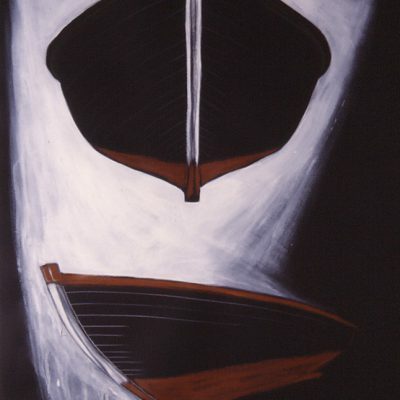 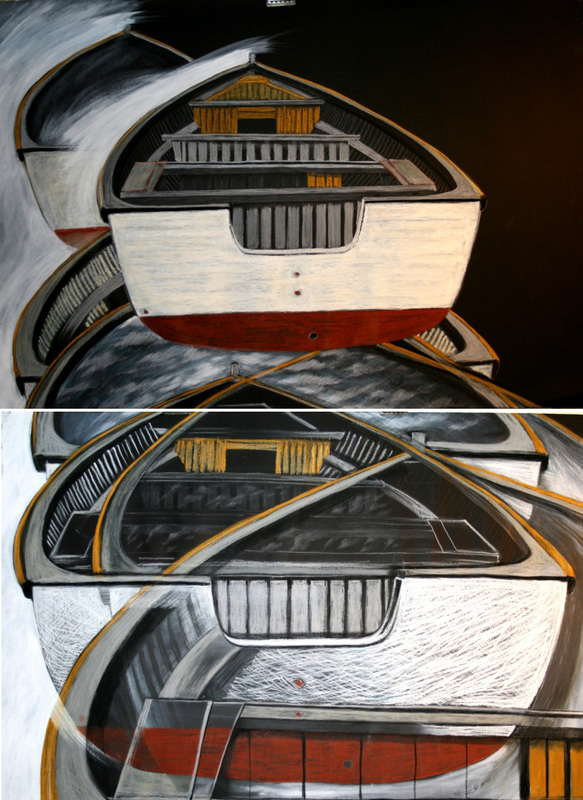 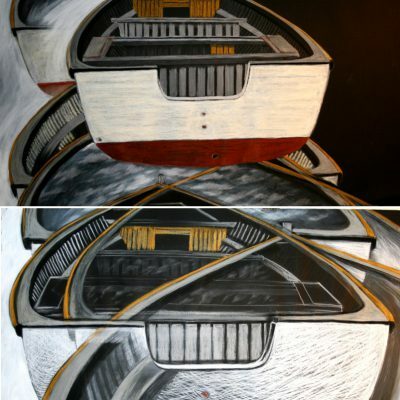 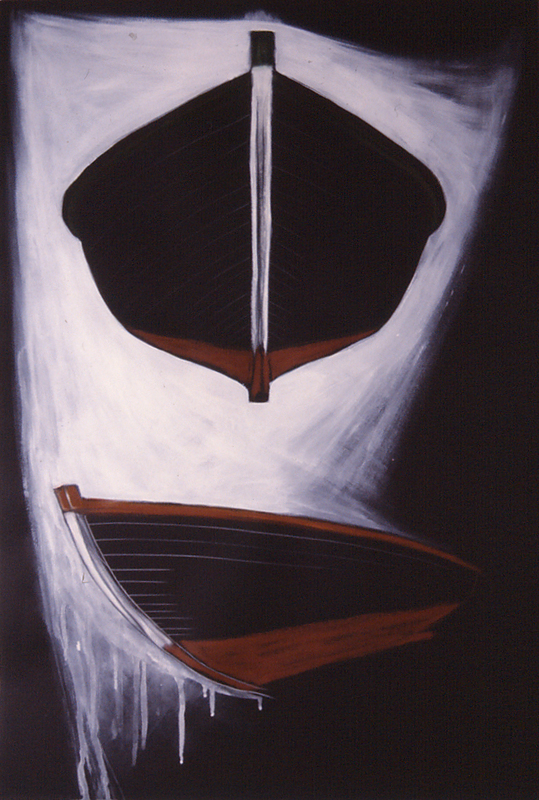 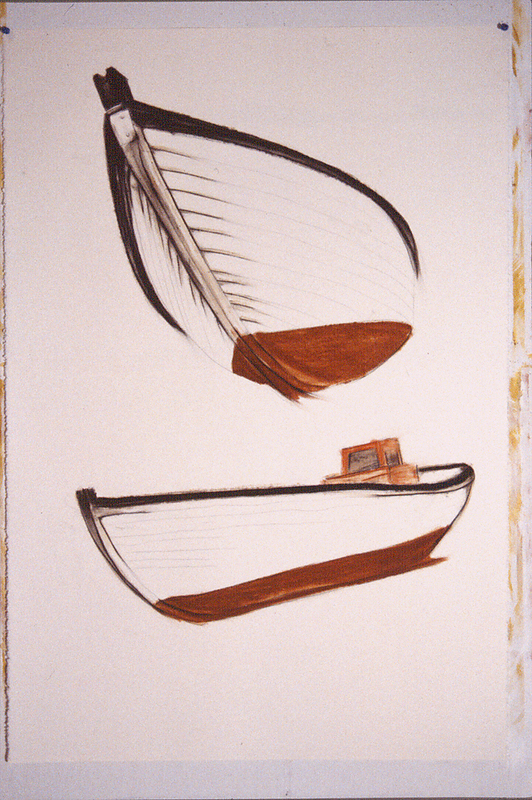 Based almost entirely on Eli’s trap skiff, The Big Diesel (later renamed The Lady Tucker), they investigate these humble boats and their transformative power – to hold – to enable journey – to safely carry humans (usually men) into “territiory” where they are at risk in more ways than one. 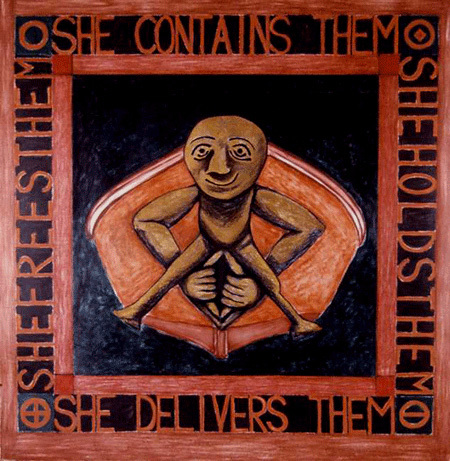 “Women do that too,” Hall thought – “or might”. 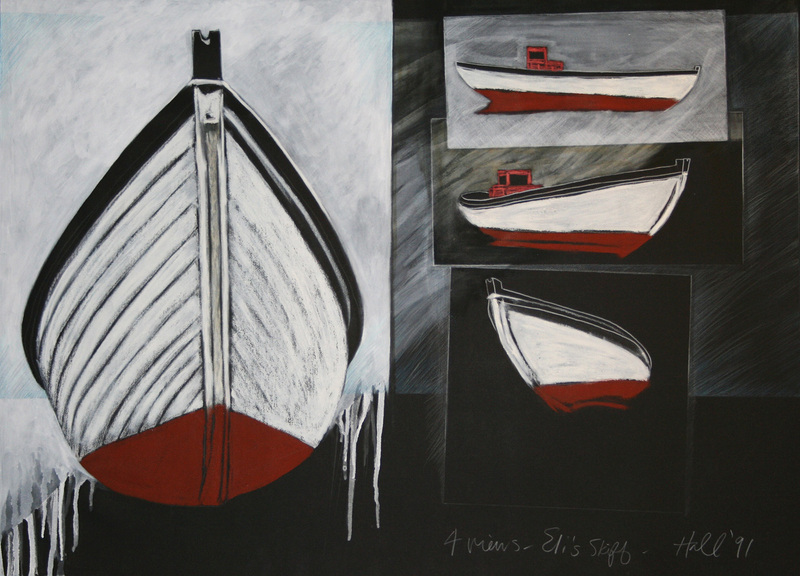 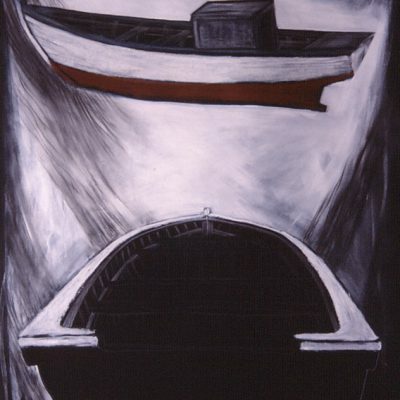 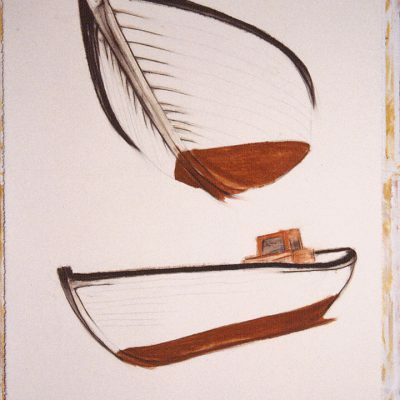 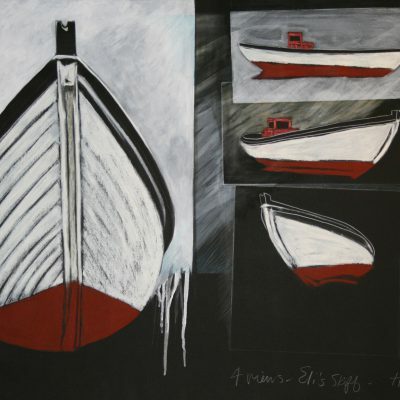 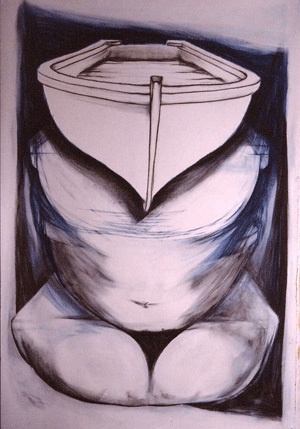 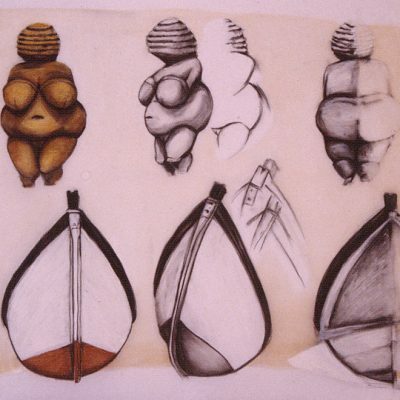 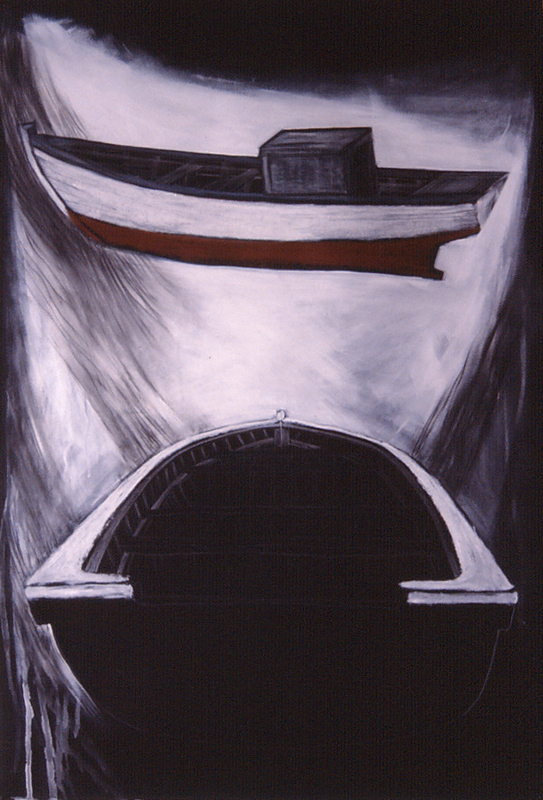 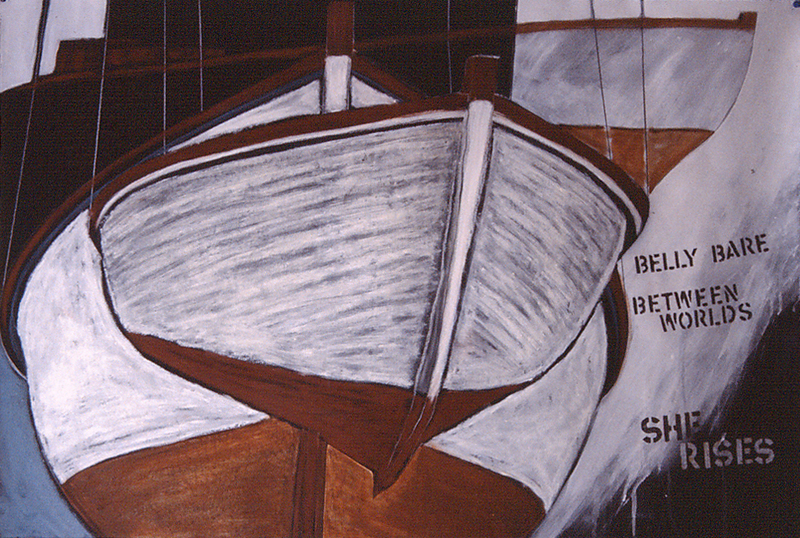 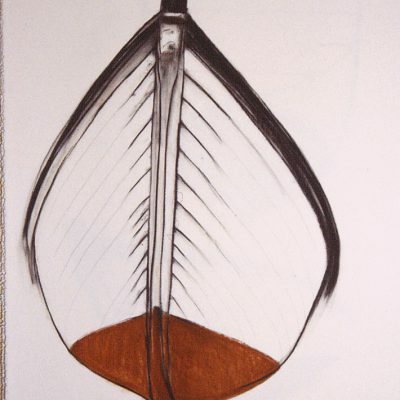 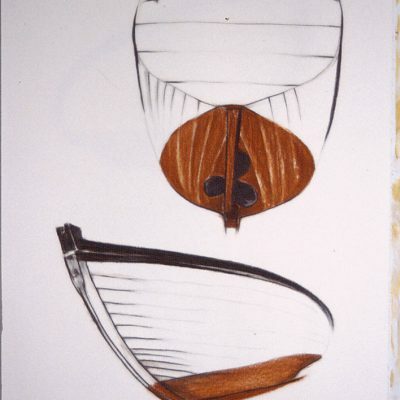 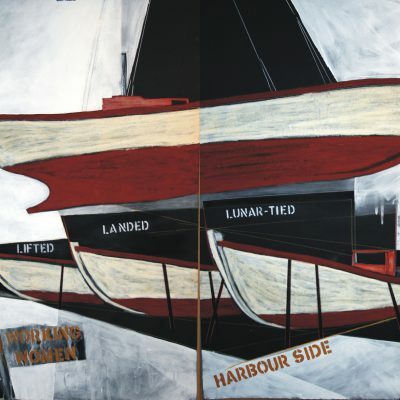 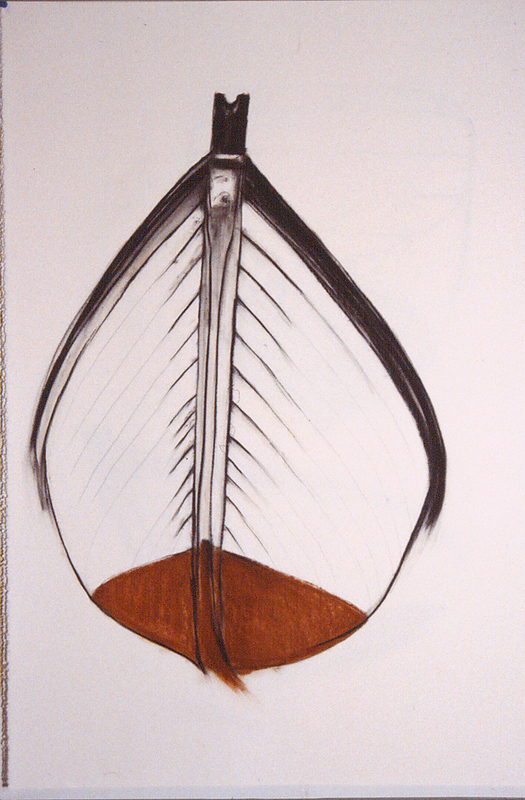 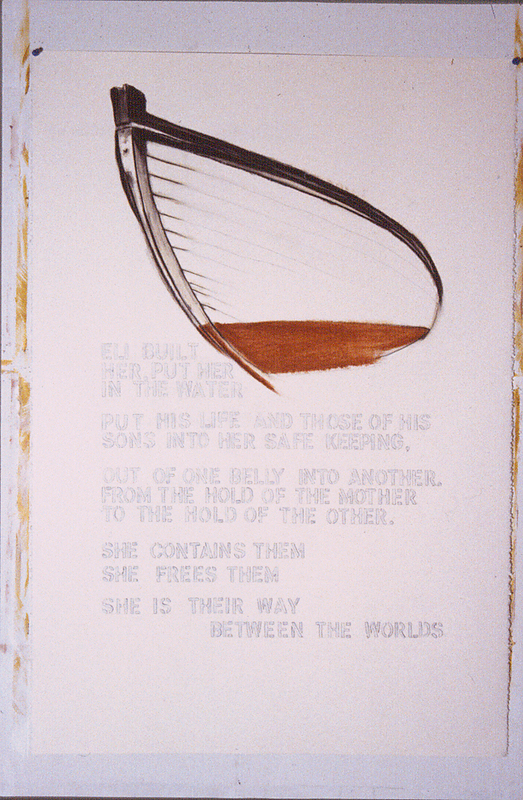 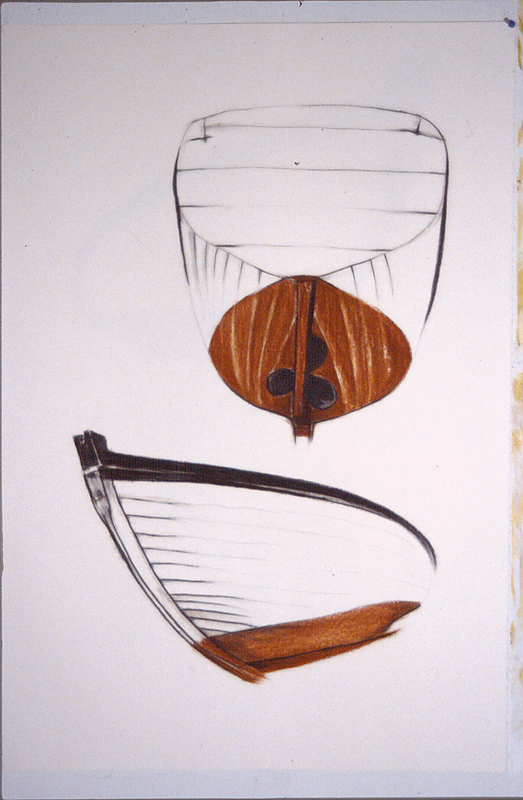 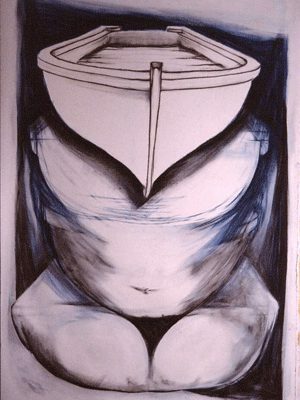 Many of the drawings from these series are in public and corporate collections, and Hall still incorporates Eli’s trap skiff into her work from time to time. 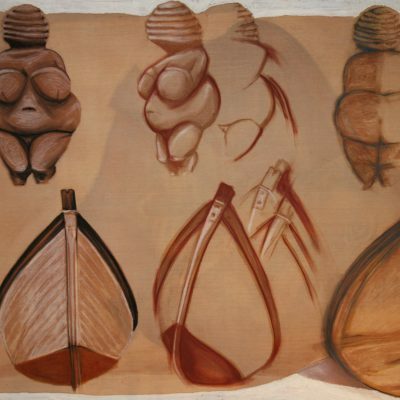 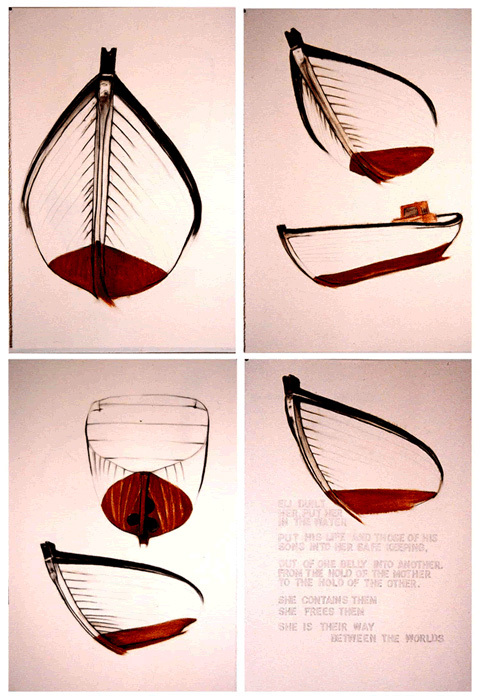 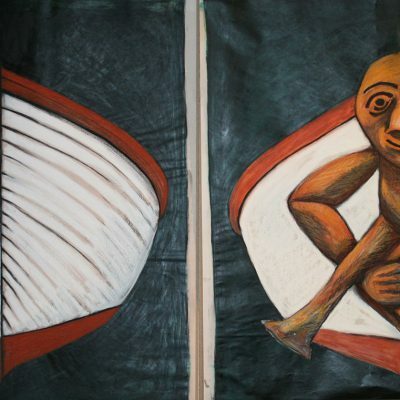 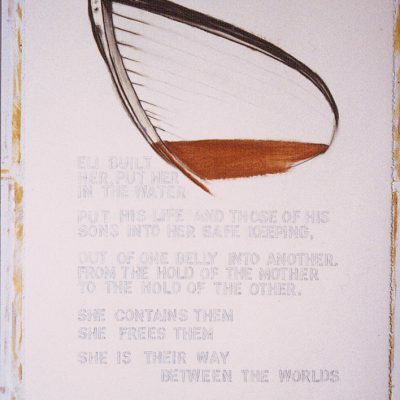 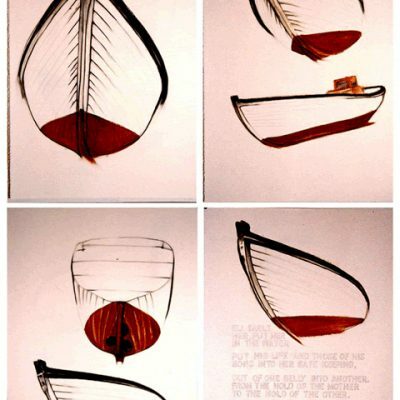 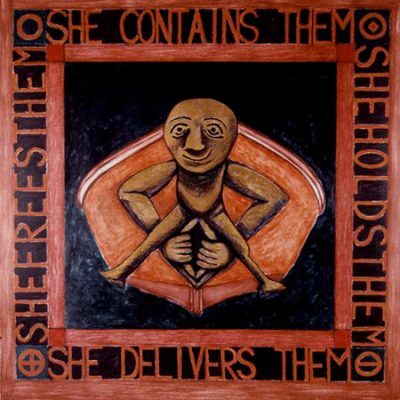 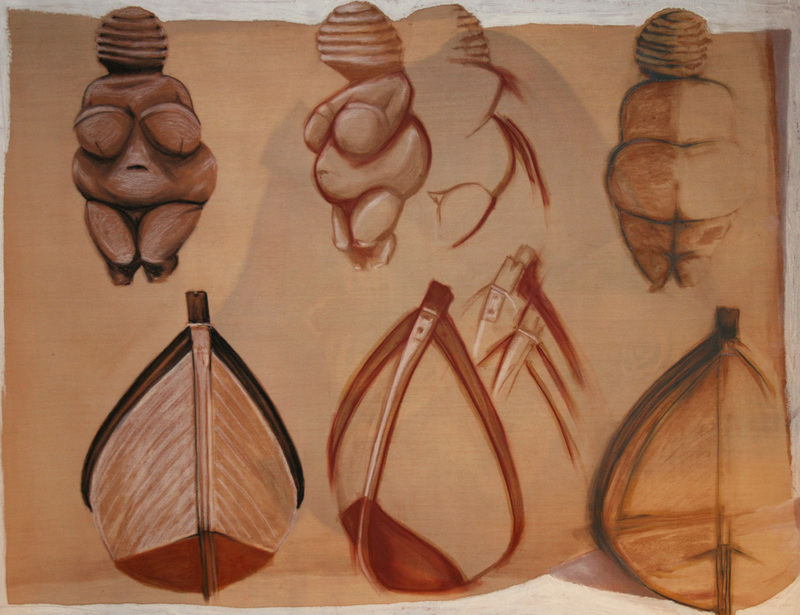 Eli Built Her, 1989, 4 panels, 44″x30″ each, overall dimensions variable. 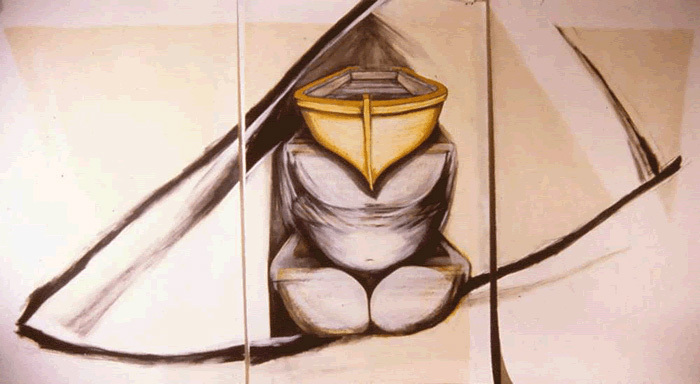 1994–2007. 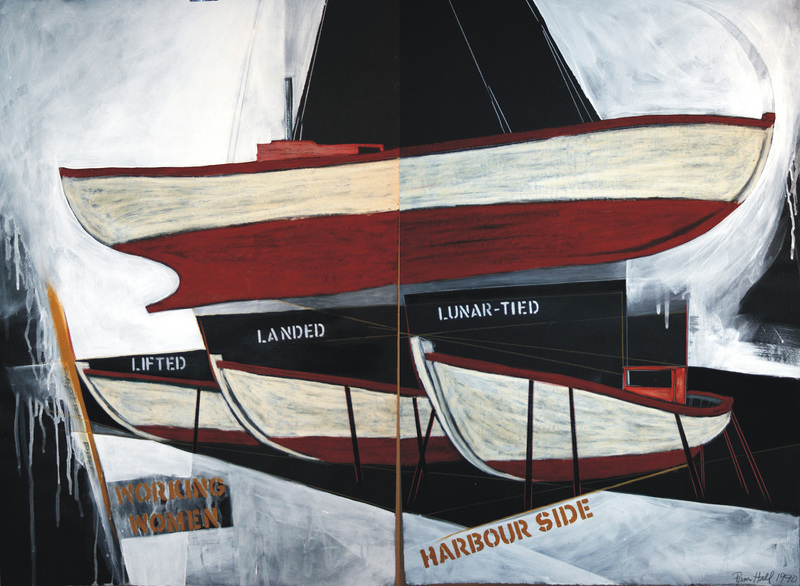 These works are both a conversation with Hall's own history in the fishery and an exploration of the power of memory – to wound and to heal.